"Personally I like this one," she said, picking one and preparing the tea with it. "It's a local one, but takes inspiration from abroad." She poured two cups, then stood up and moved over to the table where the papers and diagrams and what not were being poured over by her Yoriki. She picked up a charcoal pen and altered some of the diagrams, following through with a few switcheroos on the ciphers on another sheet. Suddenly, the Yogo might find that everything fell into place. Apparently Hikari had solved the riddle of riddles while pouring tea. When time permitted, the academic world had to be notified, of course. For now though, Hikari looked at the woman. "Would you care for the same blend, Yogo-san?" Akarei smirked and looked at the diagrams. "Insightful once more, Seppun-sama," she mused. She moved on to her next pile of scrolls and sought to find more mysteries among the texts. "As for the tea, how could I refuse?" She gave a mischievous smile and then bowed her head in deference. "Well then," she poured another cup and sat it down on the table, before taking a seat herself and looking at Hinami. "So, aside from you being here, how have things been going back in the capital?" '' As usual. 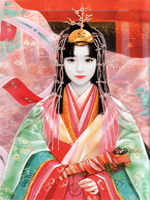 There's much activity between Hantei's-no-kimi voyage and the Divine Emperor's late...'' She didn't finish the phrase, but she assumed that Hikari would understand about what she was talking about, the Emperor's health. '' Beside that I have been travelling alongside the River of Gold in the Scorpion lands, so I have not stayed a lot in Otosan Uchi... '' She said and then sipped from her cup. It was a good tea, its fragance was very pleasant for Hinami's taste.
'' Well, I'm impressed. This is quite good. '' She commented. "Knew you'd like it. I have a seventh sense for these things." She took a sip herself. "Some of the lands along the river are quite nice, aren't they? I hope you took the time to enjoy yourself as well. Maybe see one of their plays, like the one put up by that Shosuro troupe back home, a couple of winters ago." '' While most of my time I was working, my stay at Shiro no Shosuro was quite pleasant. I saw a Shosuro butei troupe presentation when I was there. Very talented men and women...'' She said. While for the most part, Hinami despises the Scorpion clan, she has a deep admiration for those who pursue the arts.
'' I also visited a small new settlement named Journey's End, and many other small town and villages alongside the river coast. Nothing remarkable about them.'' She said. "Arigatou gozaimasu." The Yogo took her cup and took a sip. She gave her superior an approving smile and went back to diving into her work. How amusing that one could become so disarmed by the Shosuro's wiles. In a way, I would claim that the Yogo are much more honest and forthcoming. And yet, we are the villains. She remained silent as she mulled over more of the paperwork. After all, such was fitting for one of her station. Nothing remarkable, eh? Such poor phrasing in Scorpion company, sister! "Few places are entirely without charm, though they can't all be grand I suppose. At least you don't have to deal with the troubles of travel for a few days. Your lodgings have all been taken care of, I'm assuming? If not, I'll make sure of it." Hinami didn't comment anymore about the Scorpion settlements, not what her work was really about, like investigating opium trafficking and some necessary but shameful activities like commerce. 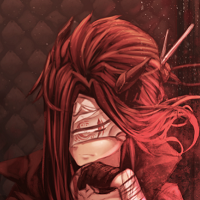 ''I appreciate that but I doubt that Seppun Hassei-sama would not had been informed of my arrival.'' She said. '' In any case, how's been your life as a magistrate?'' She asked politely. "Hmmm, less trouble here than some of the places I visited when I was a Yoriki. Aside from a few issues it's mostly pretty mundane stuff to be honest. Of course, people aren't so keen on coming to us with leads and problems in the first place, opinions being what they are. I've been trying to earn the people's trust and confidence, but well, small steps." I don't blame them. I wouldn't approach to people like that Yogo unless absolutely necessary. What's about her hair anyway? Red, that's is weird Hinami thought while listening to her sister's explanation. She calmly sipped from her tea.
'' We must fulfill our duties to the Son of Heavens, no matter the circumstances. '' She said with a completely neutral tone. True, the eddict against magic has caused problems for everyone, especially the Seppun family, but the dictates of the Emperor are absolute in Hinami's mind.
'' So dear sister, what are your expectations about this voyage? '' She asked. "Of course," she answered Hinami's comment on duty. It was something Hikari did believe in, all appearances to the contrary. "I know about as much as you do I'm afraid, so I don't have much in the way of expectation. Shame really, if I knew where we were going, I might be able to prepare by learning a language or two. Perhaps some of our Imperial cousins among the corp would know more?" "Well, I've heard good things about the siblings. The locals seem impressed at least. That aside, given their ties they'd be the ones to ask, but I expect we'll find out soon enough." She turned, not content without at least attempting to involve everyone present in the conversation. "Have you heard anything, Yogo-san?" The Scorpion paused her work and looked up to address the two Imperials. "I have not received much word regarding the journey. However, I am aware of another of my Clan. Beyond that, I imagine I will meet more in the coming days." "It is truly a secret then," she said, entertained by the notion. "How exciting! Nothing like getting thrown into the unknown." Hikari found herself wishing that she'd taken out her fan the way Hinami had done... but only because she enjoyed the sound of it snapping shut. It felt right to use it as such whenever she'd change the subject in a conversation. "Oh, we should maybe do shopping, don't you think?" '' Hmm, so it seems. '' Hinami didn't show any bit of emotion, unlike her sister. She kept looking Akarei for a few seconds and then completely ignores her once more.
'' I was planning on exploring the city tomorrow. Also I need a travelling chest for the voyage. '' Hinami did not like the word 'shopping', but did not make any comment about it. '' I imagine you have some servants that could get me what i need?'' She asked. "Well, I can't exactly send office personnel on personal errands. 'Least not too often. I know just the place you're looking for though. Helped the owner out of a minor bind a few months back, and it's on my usual patrol route, so I can just swing by and have one delivered to whatever ship they put us on, if you're okay with not picking one out yourself. I'm guessing you're mostly going to use it for clothes, right? Should look at some of the fabrics they've got here tomorrow, if you're looking to add to the collection." '' That's right, I cannot allow my junihitoe and other clothes to become damage with the sea humidity. Well, I suppose I can accompany you during your patrols and select one chest that I like and make some servants deliver it here before the departure '' Hinami said.
'' Perhaps, it been a while since I have inspected fabrics. 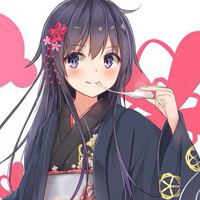 Perhaps I could order a kimono to be finished by the time of our return '' Hinami was almost addicted to clothes, just like Hikari was addicted to snacks.